Good morning! How are you all doing on this fine Thursday morning? Albeit cold, it's gloriously sunny today and my heart feels the need to share a fun and easy CAS card! As you may know, this year Santa brought a lot of colored mediums that I've been slowly dipping my toes into. 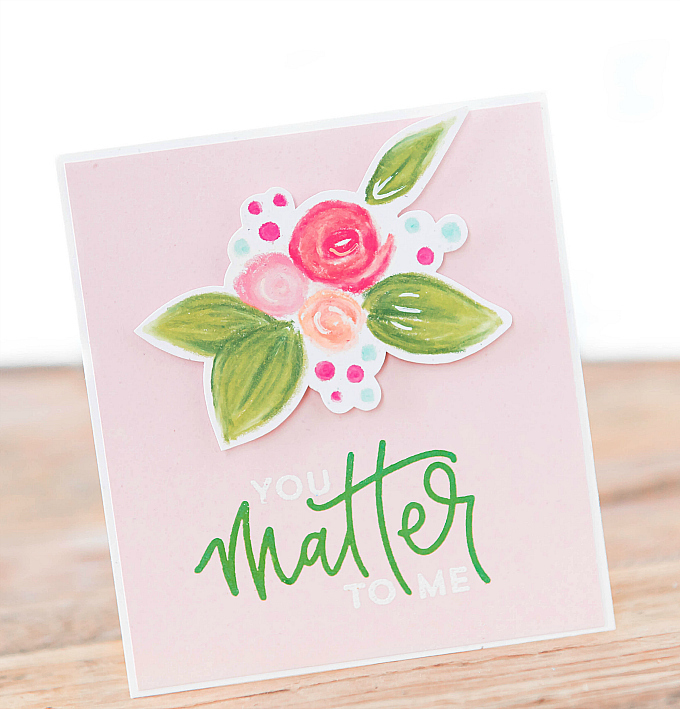 Yesterday, I shared a post all about colored pencils, and right now I want to share this card that I made using some of my favorite new color mediums - Distress Oxide inks and a favorite new pastel find. 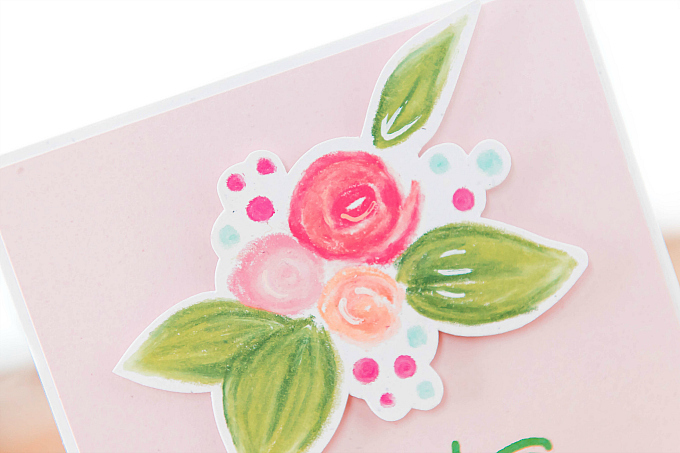 To start my card, I first backed some pink cardstock with a white layer. For the freehand floral, I used a heap of new pastels I just picked up (more on these in an upcoming post) and guys, I think this might be my best crafty discovery in years!! 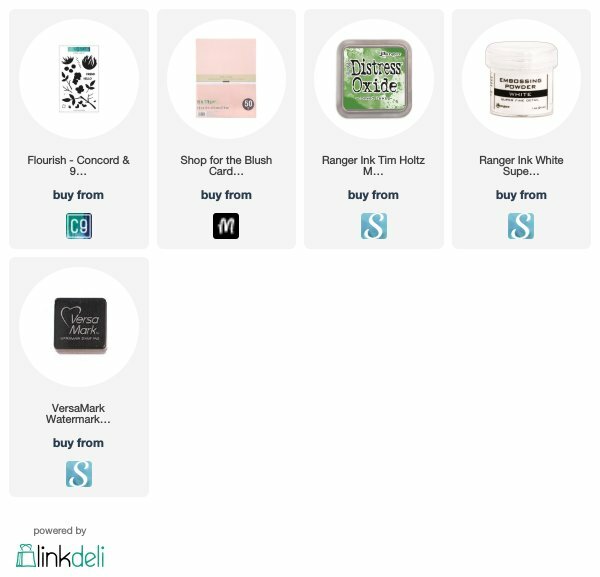 I want to make sure I have some time to play with these, and I'm hoping to create color charts, a full product review and all sorts of pretties and cards. And I'm wondering - would you be interested in a full post where I share all the details on this awesome new find? Let me know below or feel free to contact me here. After drawing my freehand florals with the most lovely of colors, and a few leaves, I also added a tiny bit of white with my Signo white pen. 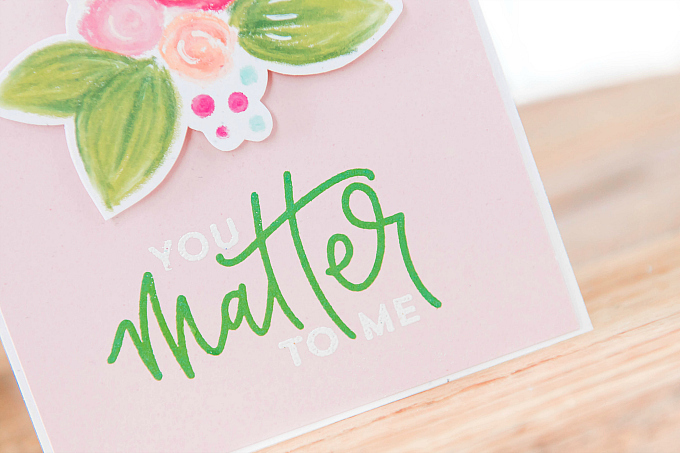 I then used the beautiful Concord and 9th Flourish stamps to stamp the beautiful sentiment. I stamped half of the sentiment in Versamark ink and heat-embossed it in white. The remaining portion, I stamped with the gorgeous, super silky, matte Distress Oxide ink in Mowed Lawn. And guys!! Where have I been?!?! I can't believe I haven't used these inks before. These inks stamp beautifully - especially with a stamp positioner, to get a super smooth and crisp finish. For the last step, I used my scissors to fussy cut the design, and adhered it with a few pop-up dots. Such a clean and simple card, perfect for some sweet Valentine's greetings. I hope you've enjoyed today's post. And don't forget to contact me here or comment below if you're interested in a full product review and upcoming cards with my 'mystery' find! This is such a sweet card! 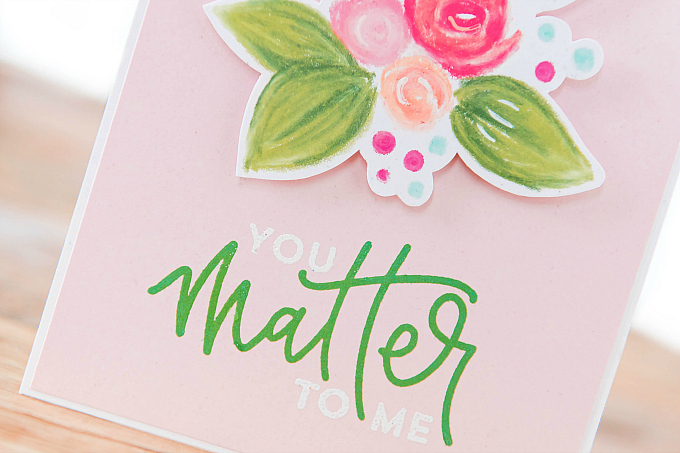 The florals you've drawn are just darling! I don't draw, but I sure admire those who do! Gorgeous CAS creation, Ivana! I did eventually break down & get quite a few of the Oxides. 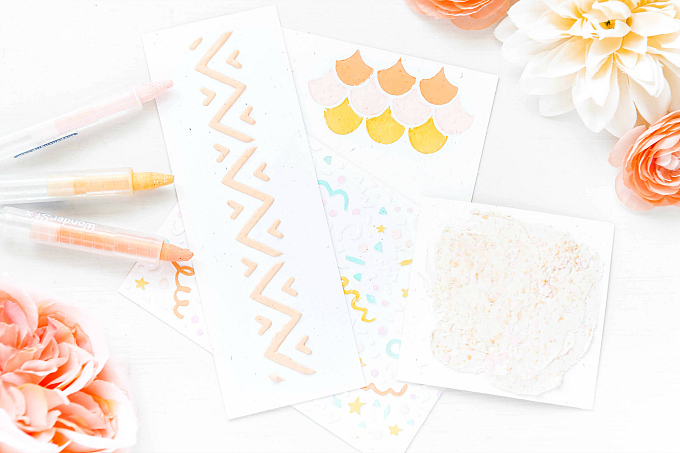 I love how they blend, but really my favorite thing is being able to stamp with them so it's a match to my background!